The Sound of Stamping: New Catalogues! New Products! Not one but two catalogues have started today! 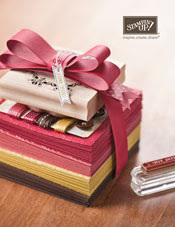 Firstly the annual catalogue is packed with new products, stamps, tools, designer paper and more and runs until 30 June 2013. 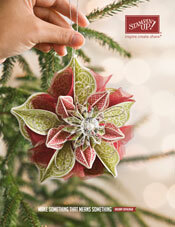 Then, the other catalogue also starting today is the newly named "Holiday" catalogue. It too is packed with new stamps etc, but concentrates on the upcoming holidays, namely Halloween and CHRISTMAS! Products are available until 31 January 2013. Both catalogues can be viewed online by clicking on the link under the pictures. To order your copy or make an order, contact me!